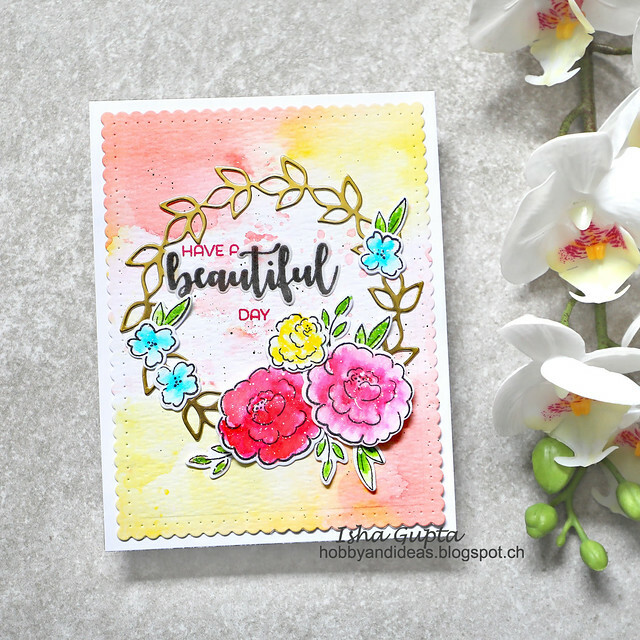 Today's special guest star, Isha Gupta, is a long-time friend of Winnie & Walter as she was our November 2015 Leading Lady and an artist I have long admired for being able to create gorgeously colored and layered projects! She's also full of warmth and a lovely lady. Please give her a warm w&w welcome! Hello Winnie &Walter fans! Isha here from NewIdeas. I am so thrilled and honored to be here guesting for Winnie & Walter’s 4th Birthday Bash!! Today, I have two projects for you using a mix of new and old supplies and to share how versatile these products are. My first project is a card. I used "In Bloom: Ashlee's Rosie Posies with Lydia Evans" and the coordinating dies. I also used the Essentials: Audrey Cutaways along with the In Bloom: Paulina's Greenery Cutaways. I really love the sketchy florals and the beautiful font in this set and used watercolors to color the images so they look organic. I stamped and embossed the word "Beautiful" onto a piece of vellum. The coordinating dies made it so easy to die-cut everything perfectly. To start with I die-cut the border using the Georgette Border Cutaways, I really love the dotted detail in that. 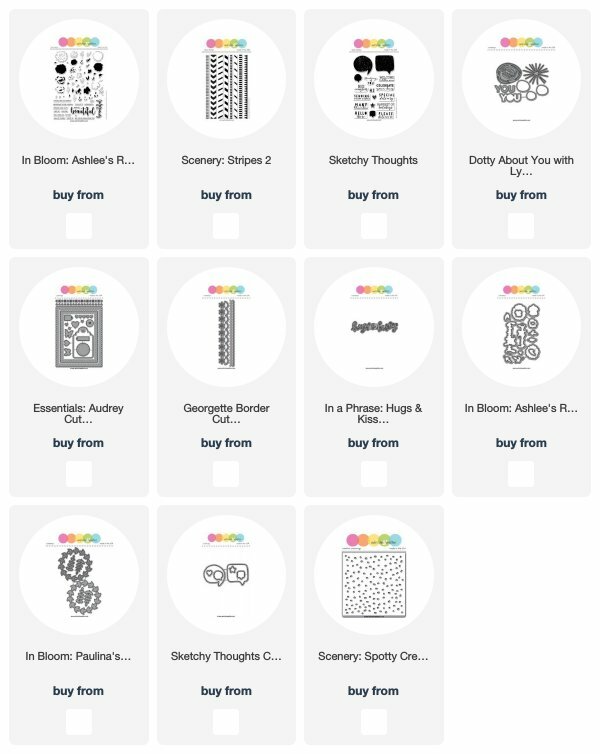 I then die-cut the spiral flower from the Dotty About You With Lydia Evans Cutaways and stuck it behind the photo. 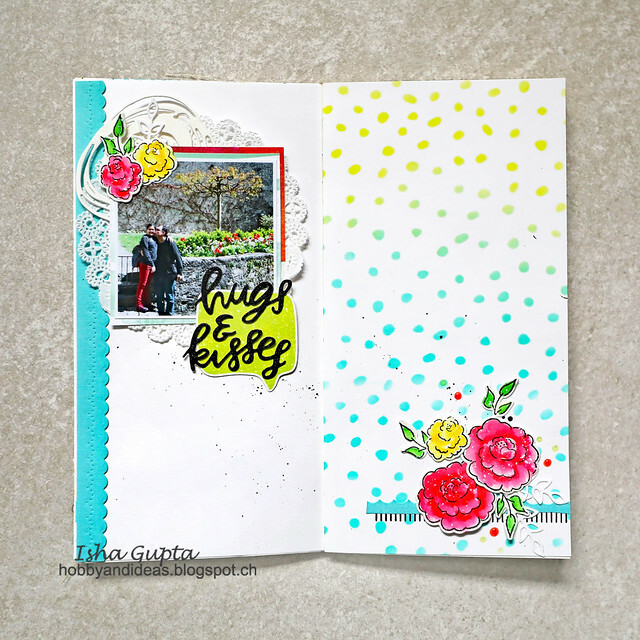 To ground my title, I used the bubble image from Sketchy Thoughts stamp set and coordinating dies. For the florals, I used the "In Bloom: Ashlee's Rosie Posies with Lydia Evans" and the coordinating dies. For the right side, I first sponged various inks using the Scenery: Spotty Creative Screenings. I then stamped the black and white stripe to ground the image using the Scenery: Stripes 2 stamp set. Do you see the turquoise diecut above the stamped line. I used the rest of the scrap from the die-cut border using the Georgette Border Cutaways. That is a good way to use your scraps lol. Finally I created the floral collage and added some Nuvo Jewel drops as accents. Thanks so much to Shay and Winnie & Walter for inviting me to join them in their birthday festivities this month and here's to many, many more birthday bashes to come!! :) Have a wonderful day!! Beautiful projects with cheerful colours ! Not only is Isha a talented crafter but also very helpful and encouraging . So pretty and beautiful creations! These are so pretty! Love the layering and the soft but bright colors! Pretty projects full of colour and cheer. 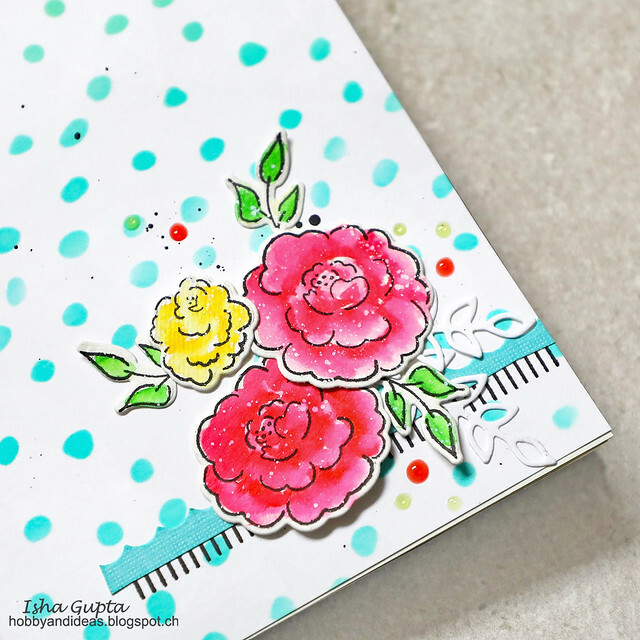 Very pretty card and gorgeous TN spread! I enjoyed looking at them! Beautiful work, Isha. Love that TN with the aqua dots!